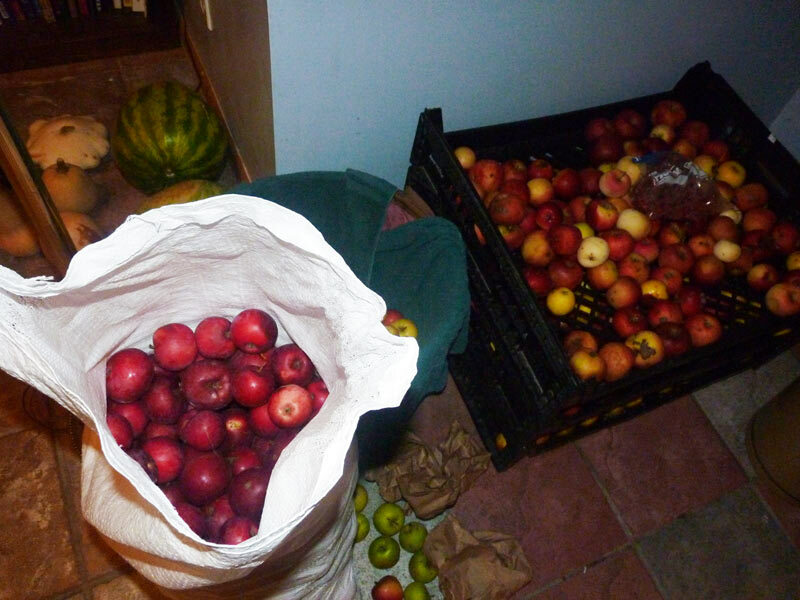 We made a lot of apple sauce last autumn-just from one tree-it was a bumper crop. I don’t bother pealing to be fair so saves all that time. Also if anyone does not want to bother with canning-freezing is ok too. Just pop in freezer bags. Nutmeg sounds like a good addition. 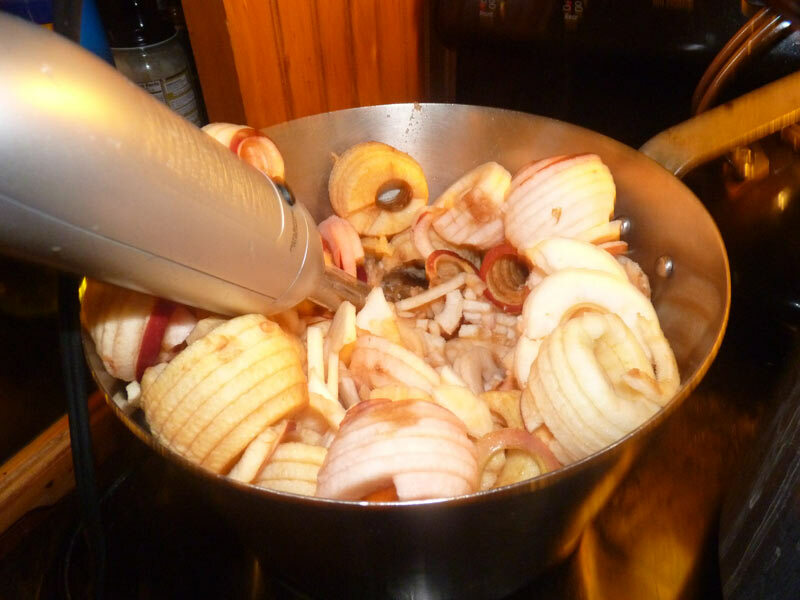 I use cloves and cinnamon etc. Nutmeg would be nice. I agree with you so much nicer to have non sprayed, lovely old varieties of apples. Also I added some rosehip sauce to some of my batches-adds a lovely colour and nuance to the flavour. I love the idea of a rosehip sauce! How do you make the sauce? The rosehips are in season that time of year….. I don’t usually freeze much. We get a lot of power outages out here, and I’ve found that freezing foods is taking a risk for long-term storage. In the winter of 2013-2014, we went 12 days total without power (5 at one point, 4 at another). Its cold, so its not a big deal for frozen foods (you just stick them on your porch). But now that its in the 50’s, it would be a bigger problem! My favorite applesauce combination: Alexander (old Russian apple) and Wealthy (one of the great American apples 🙂 ). 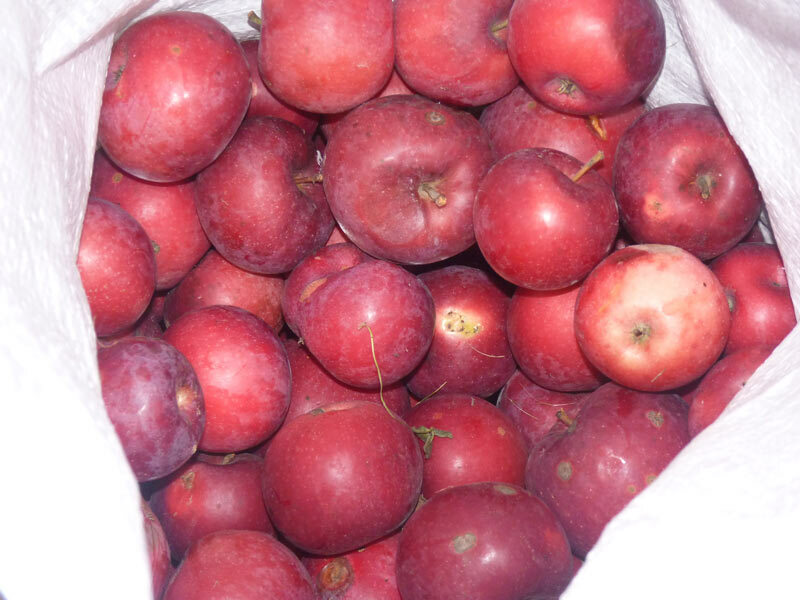 I have no idea what varieties I used–I just eat them and if they taste good, they will make good applesauce :). Thanks for the comment! 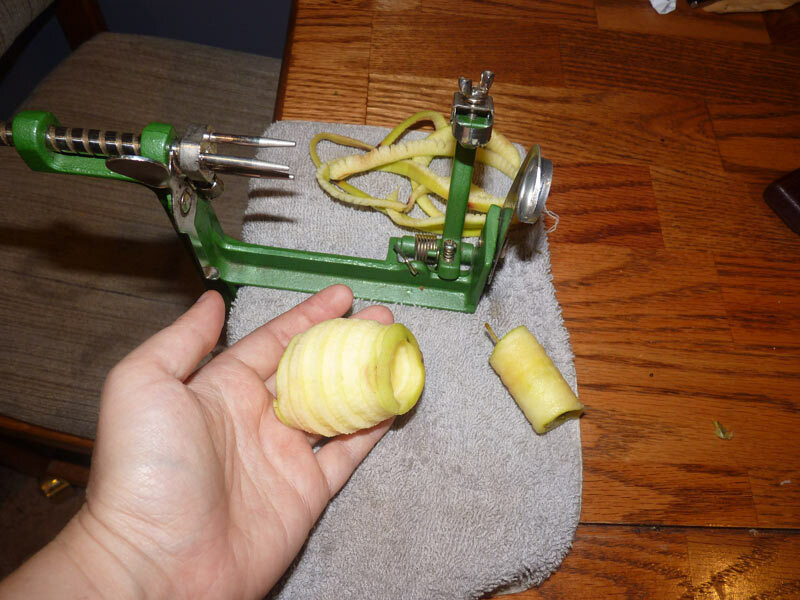 LOL, maybe you can surprise him with the apple corer and slicer…its a lot of fun and saves the wrists! Made some awesome apple sauce this year again! These are heirloom apple that were planted by the Irish immigrant settlers here in Potter county Pa. Also known as the “Forbidden Trail” area. I missed out on the hawthorn berries this year. everyone dropped with all the rainfall and winds. 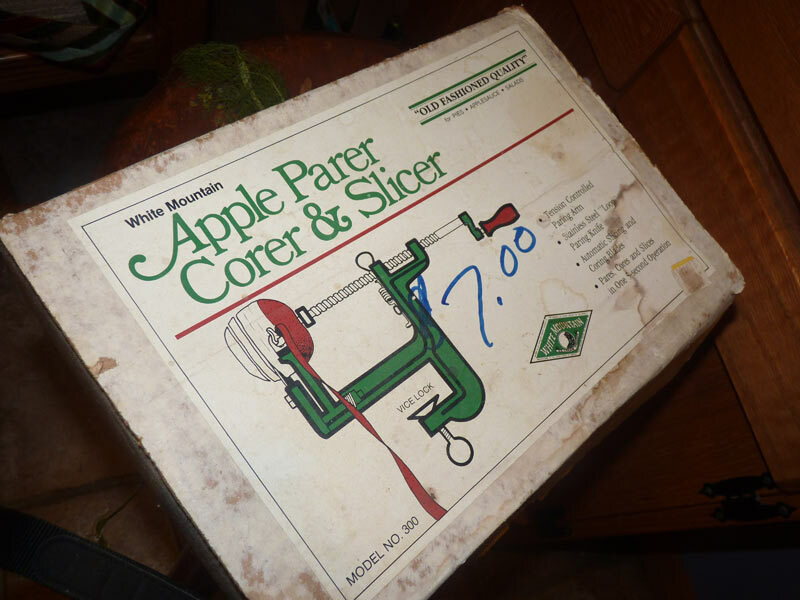 We had the most epic apple harvest here last year, but this year, there is hardly an apple to be seen. 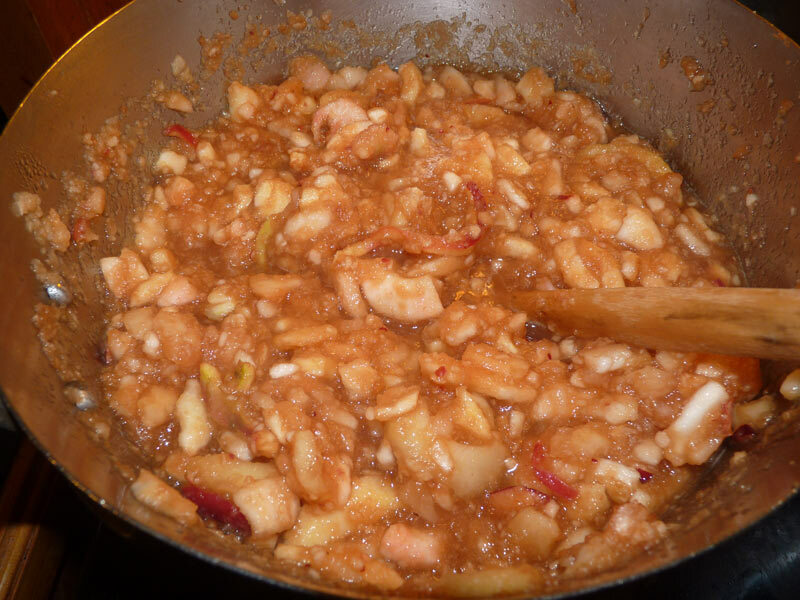 I brought some back with me when I was visiting family and made a bit of applesauce, but nothing like I did last year! I use rose hips in tea, most often. The tea is very high in vitamin C & A, and also has slight laxitive and diuretic qualities. Quite good when you are feeling a little clogged up! You can also make an oil of rose hips that is good for skin, especially dry skin (the vitamins help). It has a lot of other uses, but I mostly use it medicinally. I have friends who make jelly out of rose hips–quite an interesting and delightful flavor! The best hawthorn harvest I ever had was after a big storm; I just picked them up off the ground and gave thanks to the tree by offering it apples. Those hawthorns turned into the BEST medicine :).